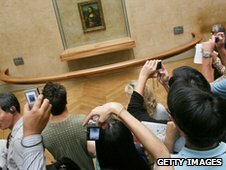 Why do we spend so much of our precious holiday time queuing up to see famous paintings like the Mona Lisa, even if we are not that interested in art? And why do we drag ourselves to all those cathedrals, museums and monuments listed in our guidebooks when - let's be honest - they usually turn out to be a bit boring, and we can't wait to get to the cafe? The answer lies in history. Few of us realise that we are unwittingly following an itinerary set by aristocratic tourists 300 ago. It is time to escape their legacy and find more adventurous ways to travel in the 21st Century. Modern travel is rooted in the tradition of the Grand Tour of the 18th Century, when upper-class gents - and the occasional lucky lady - set off with their servants on a high-culture jaunt around Europe to round off a classical education. Their ultimate destination was Italy, where they would stare at faded frescoes and pay homage to one-armed Roman sculptures. All well and good for them, but it is hardly what most of us would call a great time. So tourism took a disastrous wrong turn in the 19th Century, when the new generation of guidebooks - most notoriously the best-selling Baedeker Guides - adopted the Grand Tour itinerary wholesale, sending Victorian tourists scuttling around musty churches and crumbling palaces. Open most travel guides today and you will notice that little has changed. Apart from brief mentions of idyllic beaches and trendy nightclubs, they are still telling us to visit those very same landmarks. Going to Paris? Then you must not miss the Louvre, the Arc de Triomphe or Versailles. So what can we do to shake off this outmoded approach to travel? And how can we make our holidays more of a life-changing experience? When travelling abroad, do not waste your days visiting stone monuments. Seek out local people and discover how they really live. A good option is staying with a family, easy to organise through a homestay website. I recently stayed with a wonderful family in Palermo and my hostess even gave me Sicilian cooking lessons. My kids were thrilled when I returned with great recipes rather than a great tan. Our most memorable holiday experiences are rarely when we tick off lots of tourist sites, but rather when the locals invite us to share a slice of their lives. We don't even need to leave our own towns to travel any more. Globalisation and immigration have brought the world's cultures to our doorsteps. We should become backyard anthropologists and cultivate a curiosity about our neighbours from different nations and communities. Have a conversation with a stranger once a week, like the woman who sells you a newspaper every morning. And make sure you get beyond chat about the weather to discuss what really matters to you, be it work or education, relationships or politics. Amongst the earliest travellers in history were religious pilgrims who embarked on arduous but ultimately uplifting journeys to Mecca, the Holy Ganges or the Basilica of St Peter in Rome. We need to steal this idea of pilgrimage and adapt it to the modern age. This year, make a pilgrimage to somewhere personally meaningful to you. How about the village where your grandmother was born? Visit the streets she played in as a child and knock on the door she lived behind. Travel has been at the heart of nomadic cultures for centuries. So what would it mean to have a nomadic holiday today? Rather than thinking you have to be constantly on the move, jetting from one destination to another, the essence of the nomadic experience is being outdoors in the wilds of nature. And that means camping. So pitch a tent with family and friends in a lush rural valley or on a cliff top overlooking the sea. As twilight approaches, sit under the stars and stare into the flames of a fire, in the long tradition of our nomadic ancestors. Tourism has become an incredibly visual experience - we see the sights, snap photos and enjoy the view. But we can draw on the whole range of our senses for a deeper travel experience. Put the map away and allow yourself to get lost when visiting a new city. Follow the medieval scent of smoked fish and you might find yourself in vibrant food market, or pursue the sound of birdsong and discover a hidden park. Use your senses as a compass to create a tantalising tourist trail. In the 21st Century, there is no need to slavishly follow the travel routes of the Grand Tour aristocrats. Stop collecting landmarks and instead collect experiences that change the way that we look at the world and our own lives. Roman Krznaric is a founding faculty member of The School of Life in London. This article is based on his new book, The Wonderbox: Curious Histories of How to Live.